Virtual classroom allow microphone. When entering a live session for the first time the system asks you to deny/allow microphone in the virtual classroom. This also happens if you use an incognito tab on your browser. 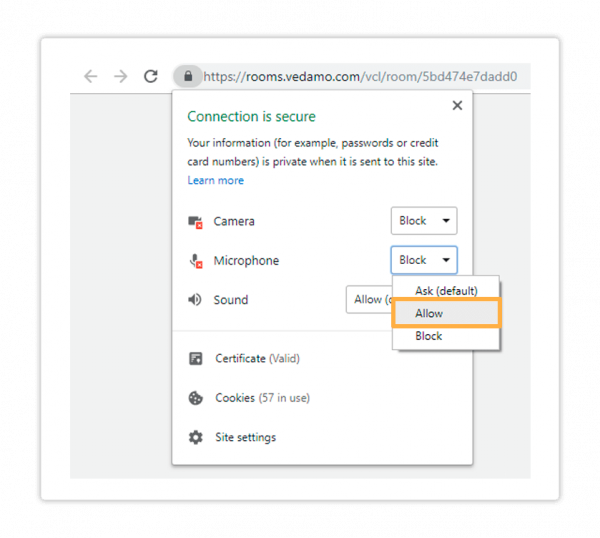 If you miss the prompt or click on Deny, you will not be able to use a microphone in the room. If you want to allow your microphone, please follow the instructions below. 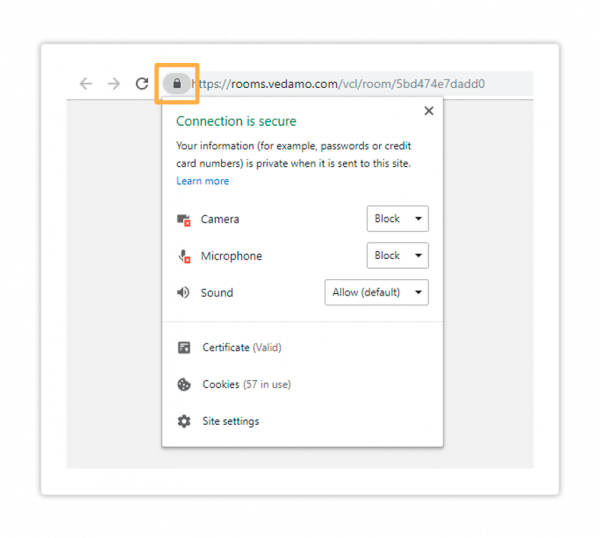 If you deny Vedamo access to your microphone and want to allow it, click on the Padlock icon next to the address bar. You will see a window opening up. Click on the downward arrow to the left of the microphone icon. Where it currently says Block/Ask(default) change the selection to Always allow on this site. Once you make this change a prompt will appear on your browser, under the address bar, asking you to reload the page. Click on Reload to do so. Pressing the Reload button will refresh the System Check page thus restarting the process from the beginning.